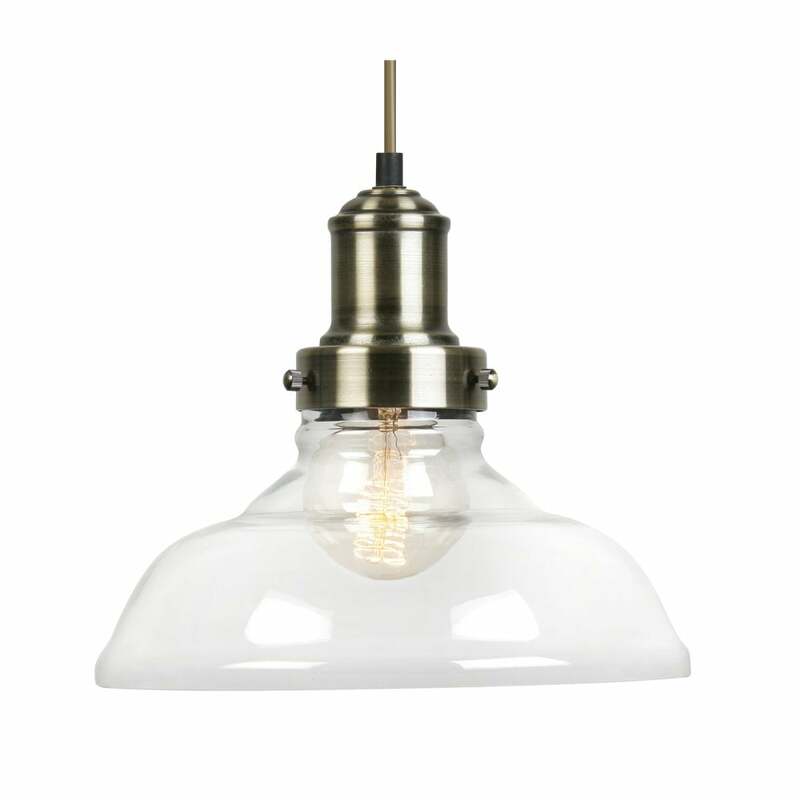 Oaks Lighting Cela single light ceiling pendant features a circular ceiling plate with cable and antique brass lamp holder , holding a wide brim clear glass shade. This product code is 2604 AB. A wide range of vintage style pendants can be viewed on our website.